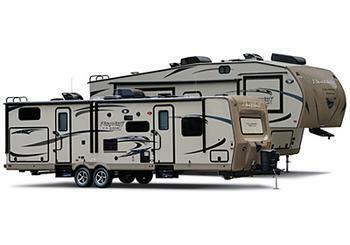 Forest River is recalling 69 model year 2018 Rockwood and Flagstaff recreational trailers equipped with Dexter Axles. The spindle nut on the axles may not have been torqued to the proper specifications. The overtightened nut may cause the hub bearings to fail and the tire and rim to separate from the axle resulting in a loss of vehicle control, increasing the risk of a crash. Forest River will notify owners, and Dexter axle dealers will inspect and replace any suspect bearings, hubs, and spindle nuts, free of charge. The recall is expected to begin October 19, 2017. Owners may contact Forest River customer service at 1-574-642-5164 or Dexter Axle at 1-574-295-7888. Forest River's number for this recall is 10C-0496.